The importance of being healthy becomes clearer when we are sick or suffering from ailments. But it takes a personal commitment to stay healthy. You have the capacity to feel more vital while performing at your best. To support you with this, we would like to introduce you to an innovative application that can help you maintain your health and promote optimal function: BEMER. Underlying its profound effect is its unique multi-dimensional signal, which has been proven to influence hemodynamics through its effects on blood flow. BEMER Therapy is a therapeutic modality that facilitates functional blood flow within the body. It does so by generating a biorhythmically defined energy signal which targets both systemic and local circulation systems within the body. Blood flow is the most important part of the human circulatory system in terms of function, and takes place in the finely and extremely entwined network of the smallest blood vessels. Here it fulfills vital transport functions: it supplies the tissue and organs with oxygen and nutrients, disposes of metabolic end products and boosts the immune system. A restricted or impaired blood flow leads to faster aging of the cells and is the cause of many disorders and illnesses. The human heart pumps around 15,000 liters of blood through our body daily. 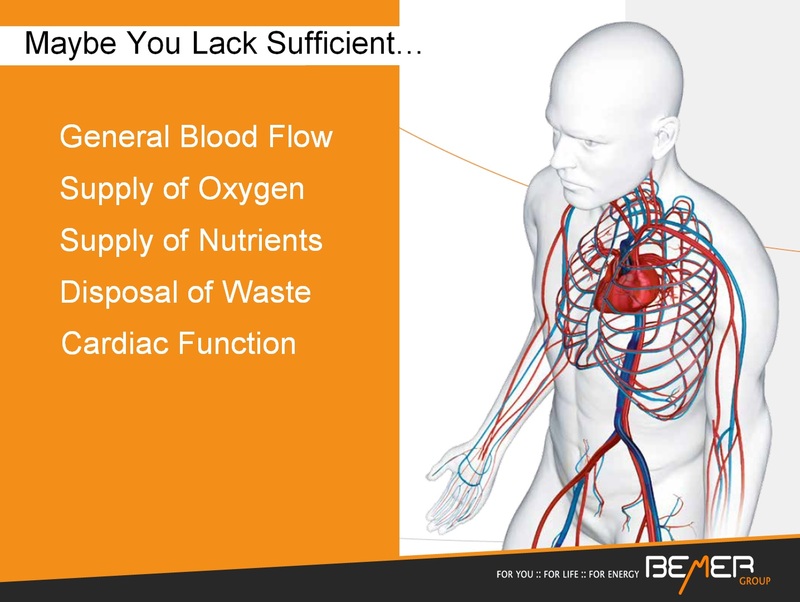 The BEMER session ensures that the blood and its components are better perfused and blood better distributed. The immune system is a complex network in the body that protects us from approximately 90% of all infections and many other potential risks to our health by means of “mobile intervention troops,” in coordination with a sophisticated defense system. The immune system manages attacks from bacteria, viruses, tumor cells, toxins, worms or fungi, for example. The white blood cells (“leucocytes”) form a part of this complicated defense system. They occur virtually in the entire body and, in the event of an infection or other attacks on our health, are controlled by information proteins or messengers. Despite this power of resistance, the immune system itself is not impervious to attack. Diseases and infections affect it in the same way as do environmental toxins, poor diet, drugs, and alcohol, lack of sleep or excessive stress. Be it amateurs or professionals – BEMER also impresses with top performance in sports. The BEMER session provides the metabolic support for increased performance, assists in energy-saving warm-up and cool-down (thereby improving recovery and incidence of sports injuries), increases the reaction capacity, and enables more training sessions. It is for good reason that the Swiss Olympic team has also relied on BEMER technology for many years, as have many amateur sportsmen and women and world-class athletes. An impaired blood flow system leads to accelerated aging of the cells and can be the cause for many diseases and illnesses. These processes can be effectively counteracted by top-notch technology. Many years of work have resulted in BEMER research making ground-breaking findings on the biorhythm of local and primary regulatory processes associated with blood flow. 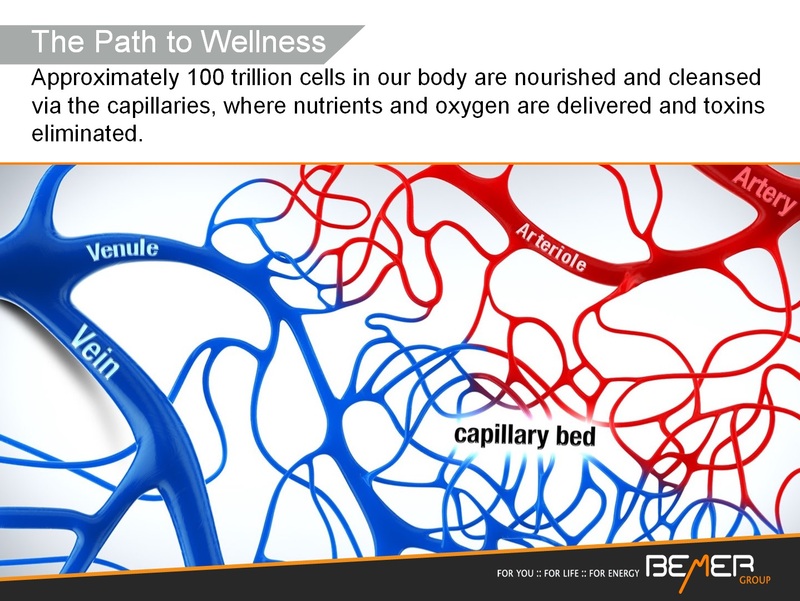 The core of BEMER technology is a multi-dimensional signal that effectively stimulates restricted or impaired circulation. The BEMER signal is provided with a Pulsed Electromagnetic Field (PEMF). PEMF technology was selected for its deep penetration and overall safety. However, the electromagnetic field itself is not the sole source of BEMER’s complex physiological effects: The patented BEMER signal, carried through the body via PEMF, elicits complex physiological effects. BEMER Therapy has two complementary forms of application. First, the full body applicator (B.BODY) is designed to systemically effect overall circulation. Special Applicators (B.SPOT, B.PAD, B.SIT) are designed for targeted delivery and local application of the BEMER signal. 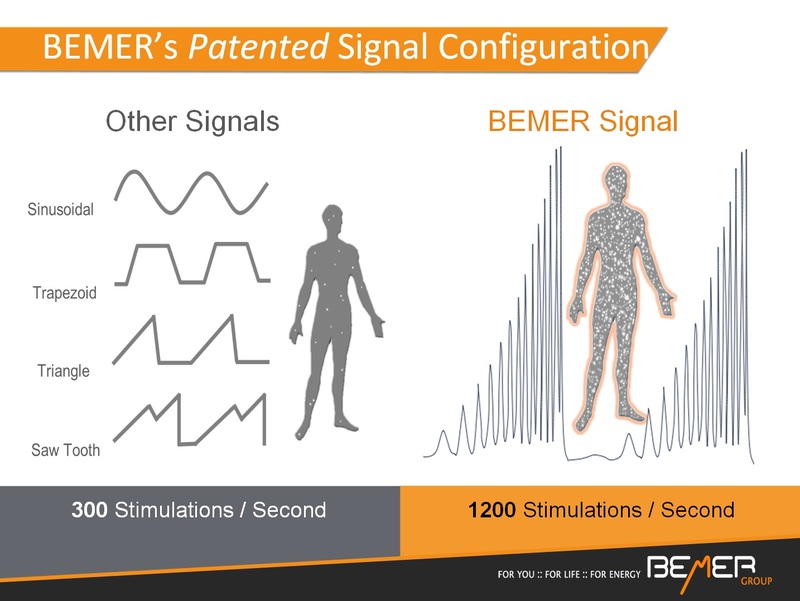 BEMER is an acronym for Bio Electro-Magnetic Energy Regulation and is registered as a medical device in the US by the FDA. BEMER is used by both consumers and clinicians alike. 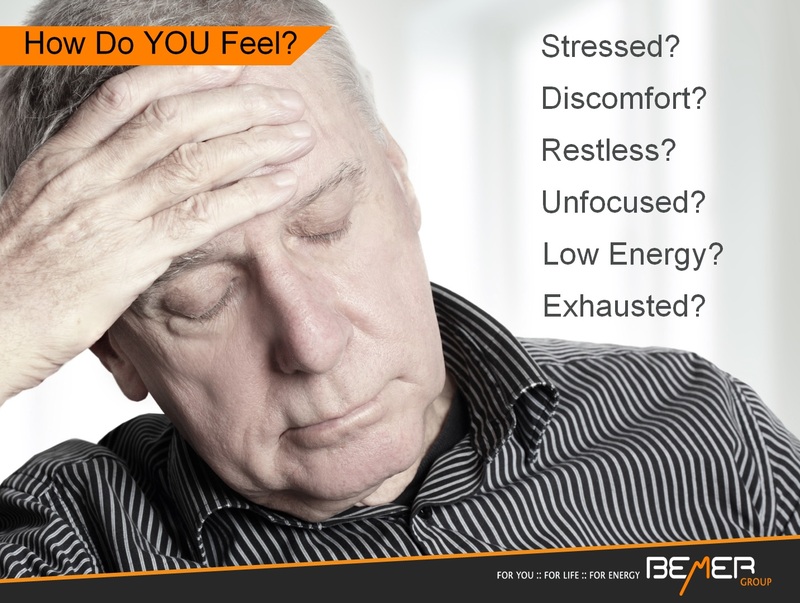 BEMER is easy to use and is a safe and effective adjunctive therapy. BEMER has few contraindications and is safe to use for most people. 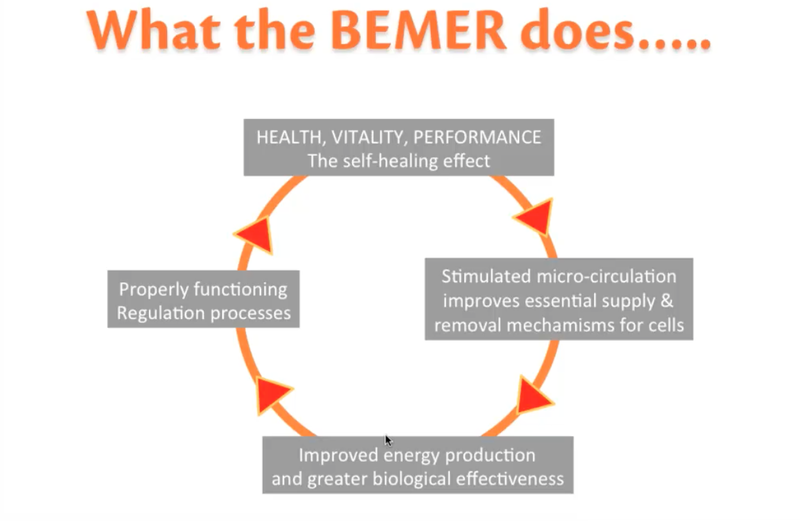 BEMER is a general wellness product and is not intended to be used to treat or cure any disease and/or condition. It is always recommended to consult with your healthcare practitioner before using BEMER Therapy. For availability in any of THREE LOCATIONS, click here.